FROT NEW: Warrior Christendom and WARRIORS! NEW: Warrior Christendom and WARRIORS! 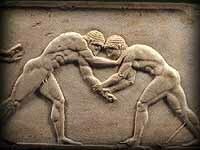 We have two NEW webpages up -- Robert Loring's Warrior Christendom, and WARRIORS!, a page which includes posts from George, Naked Wrestler, Robert, and myself. that is, the relationship between being a man, being manly, and possessing virtue. While Robert's Warrior Christendom discusses the warrior ethos in both the Old and New Testaments, and in the person of Jesus, and how that ethos relates to masculinity. and that of the Judeo-Christian tradition, which, as Robert points out, "is a religion of Soldiers and Warriors!" To repeat: these two elements, one pagan-barbarian, the other Judeo-Christian, are what make Western culture, which is being taken up by people worldwide, the great gift to humanity that it is. 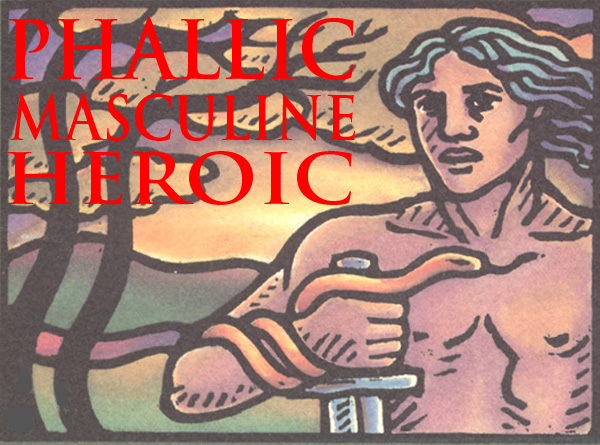 Yet everywhere today, the warrior ethic, and masculinity itself, is under attack. Robert points out that "Christ was a perfect example of a masculine male." Males are becoming soft. Males are becoming something the Creator never intended them to be and that includes Christian males today. The innate WARRIOR in most men today, Christian or otherwise, is already DEAD! Yet, unrealized by these males is that it is the Warrior within us and every male that is our strength. Without the innate Warrior within us the male has NO STRENGTH. 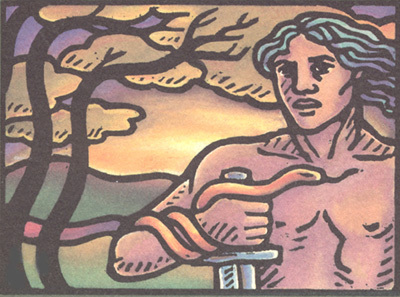 Masculinity and the innate Warrior within. Why do we talk about that here -- in this forum and in the Alliance? Wouldn't our lives be easier if we just pretended that masculinity, and particularly the masculinity of men who love men, was unimportant? Masculinity is that which is natural to a man. Again: Masculinity is that which is natural to a man. Male sexuality is expressed phallically, in the way which is natural to a man. Don Frazer has long said we pay too much attention to what is a buttboy problem. We're not into dick2dick cock2cock cockrub Frot because of HIV. We're into Frot because WE ARE MEN AND FROT IS NATURAL TO MEN. If you're a man, you express your sexuality through your manhood. Guys are supposed to hump chest to chest. What does gay culture say? Gay culture is like the religious right. It pays lip service to one thing while its actions promote another. Go to any gay male dating / hook-up site, and you'll see guys "looking for a masculine man." But what are they seeking to do with that man? Engage in an act which degrades and destroys manhood. What's the ideology behind that act? That masculinity is evil, and that it's good for a man to be effeminized by being penetrated anally, because so doing robs him of his "masculine privilege." Essential to that ideology -- not incidental but essential -- is the dichotomy between "gay men" and "straight men." "Straight men" are masculine and masculinity is oppressive and bad. "Gay men" have, through penetration, lost their masculine edge, and are thus liberated. What does that mean for men, whether gay-identified or straight-identifed or just plain bi, who are masculine and who cherish their masculinity? It means their place in the world -- as Robert points out, both in the churches and in the larger society -- is being destroyed. The natural male is being turned into an UNNATURAL unisexed male. Yet, some think all this will have no effect on a male in his spirit and mind but I assure you when you replace something natural with something that is unnatural, trouble ALWAYS follows especially in the realms of the mind and spirit. Richly illustrated and not to be missed. And guys, don't forget that we now have six index pages, listing more than 450 separate webpages, of Warriors Speak. This is an enormous Frot Man / Cockrub Warrior resource. Use it for your authentic liberation as a MAN who loves MEN.